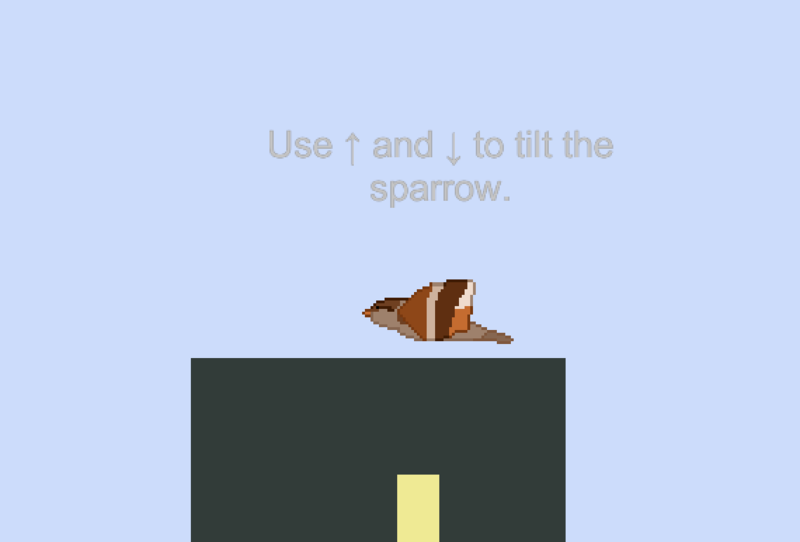 Sparrow is a platformer without platforms. Get to the goal at the end! Made by Hudson Miears in ~12 hours for the #GMTKJam. The only tools were Unity and Aseprite. Unfortunately I was a little burned out for this jam, and I didn't achieve as much as I wanted to, so this game is very much a prototype. That said, the movement is fun enough and since it's there, I'm submitting it anyway! Can't build for windows right now, but will try to at some point. Unzip the file and run the app. You will probably get a note saying you can't run it because it's from an unidentified developer, so go to System Preferences -> Privacy and Security -> and click on Open Anyway at the bottom of the screen.